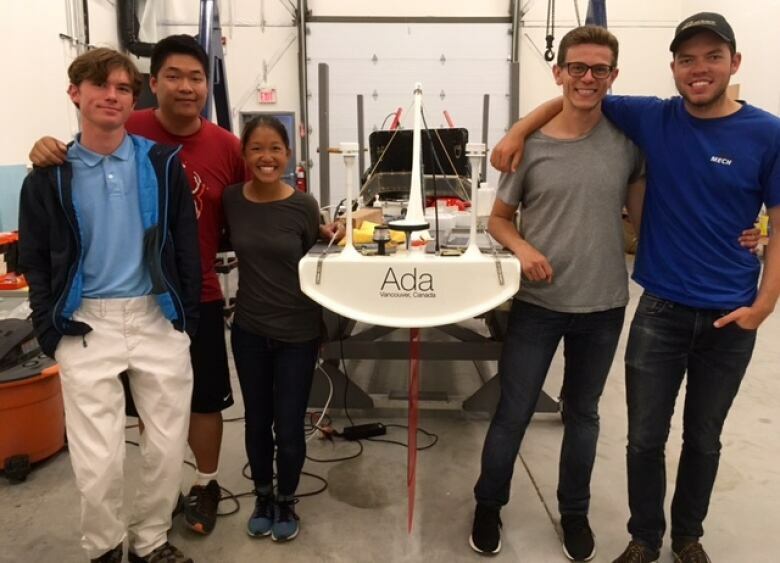 The only thing separating the UBC SailBot team and a world record is about 3,000 kilometres of Atlantic Ocean. The only thing separating the University of British Columbia Sailbot team and a world record is about 3,000 kilometres of Atlantic Ocean. On Wednesday morning, a group of UBC students put their five-metre long Sailboat, named Ada, into the waters outside of St. John's. The boat is heading toward Ireland and if it makes it all the way across the Atlantic, it would be a record-breaking crossing. Team member Youssef Basha says he's well aware how rare this trek and project opportunity are. "Very few people can get to say I worked on a robot boat that's meant to cross the Atlantic Ocean," he said. "I spend a month just testing it out on the water in Newfoundland. I feel that not many people get to say that, so I am very fortunate and incredibly lucky to be with this group of people working on this project." 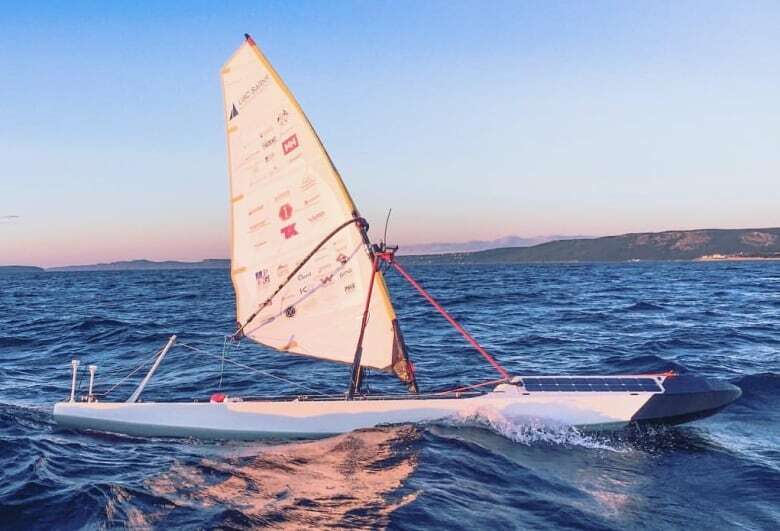 Crossing the Atlantic with a robotic sailboat has been attempted before, but never successfully. However, the UBC Sailbot team is feeling pretty confident. "We've spend the last few months just testing and fixing a few bugs that have come up," Basha said. "We've had a pretty smooth month so far, so we are very excited. Everything is looking good right now." In the video player, Basha explains exactly how the Sailbot will navigate its way through the waters of the Atlantic Ocean.